"I have no patience," says mayoral candidate Carol Schwartz, with characteristic bluntness. "I had none when I was young, and now that they mention my age before [they] mention my name, I have even less, because I have so much I want to do." She's not at all shy about exactly what that is: "It's no secret that I've wanted to be mayor of Washington for many years." Schwartz has lived in the city for nearly 50 years. A three-day trip here from Texas was compelling enough to pull her from a fiancé and a teaching job in that state. "I say often that it started a love affair with Washington in 1965.... It was a love affair I've never been able to get over," she said. "I've gotten over every other one, but not that one." Schwartz turned heads earlier this year when she announced her fifth bid for mayor. While newcomers to D.C. might draw a blank on her name, Schwartz served in the city for decades: two terms on the school board and four terms on the D.C. Council, before what she calls a "forced retirement" in January 2009 after she lost her re-election bid in 2008. As for her attempts at the mayor's office, Schwartz does the math: four campaigns in 16 years; the first in 1986, the most recent in 2002. Although all were losses, she didn't fare badly considering she was then a Republican in an overwhelmingly Democratic city. Schwartz registered as an independent in 2013. Always a fiscal conservative, Schwartz describes herself as "moderate to liberal" on social issues. "The [Republican] party had just veered too much for the right for me," she said. 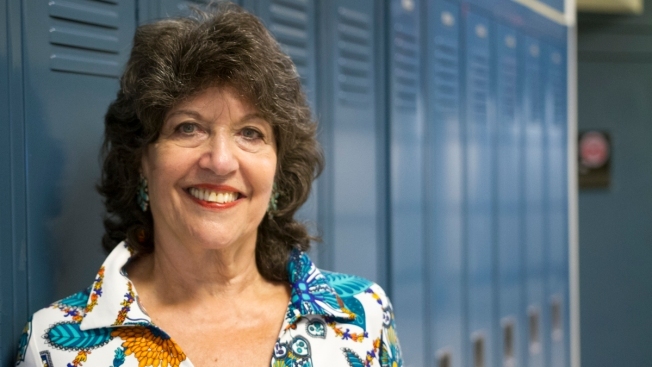 A former special education teacher, Schwartz has launched her new campaign at a time of renewed focus on education. While on the Council, Schwartz was one of only two members to vote against then-Mayor Adrian Fenty's takeover of the schools, after which he installed Michelle Rhee as his chancellor. Now, Schwartz is re-entering the fray as officials wrangle over a new school boundary plan that some fear could prompt some parents of school-age children to consider moving to the suburbs or seeking charter schools. Schwartz believes changes to school boundaries are necessary, but said some of the initial suggestions were "awfully dramatic." She says she prefers the revised boundary plan, but said it also has some areas of concern. "I like having an integrated public school system.... so I don't want to see that change, and I think that some of the proposal might end up with a more segregated system, and that concerns me," she said, adding that she wants the city to delay boundary changes until the new mayor takes office. Schwartz firmly supports charter schools, but says they can come at a cost to neighborhood schools that can't always compete. "These are our hardworking taxpayer dollars. I don't want to squander [them]," she said. "If we've got duplication and these kinds of wastes going on," she wants to do something about it. Schwartz has said she would retain current chancellor Kaya Henderson. She has also proposed tapping into the well of retired educators, calling them back into part-time service as tutors and mentors, and providing transportation for them. Another big issue on Schwartz's radar: affordable housing. Schwartz, who lives in wealthy Kalorama, describes the city as a boom town. But that's a double-edged sword, she says, that's led to trouble finding affordable housing. In a city where $3,000-per-month luxury apartments aren't uncommon, there are no easy answers. "What we think of as affordable housing here, in any other part of the country, you'd have to be a millionaire," she said. Schwartz admits that, as mayor, finding a solution would be a challenge. "We need a huge affordable housing component including new rental housing that is affordable," she said. "We need to add public housing for those at the lower levels, and also I'm concerned also that we've got all this money coming in... but we should take care of our vulnerable population." As the only one of the three leading candidates not currently in office, Schwartz insists her nearly six-year absence hasn't hurt her name recognition despite a big turnover in residents and demographics over the years. "I find it quite amazing; I'm aware that I've been gone five and a half years, but the amount of people [when I'm out, saying], 'Hi, Mrs. Schwartz,' 'Hi, Carol'; they seem to remember me fondly," she said. News4 political reporter Tom Sherwood said the question is whether she can leverage that popularity into votes. "Carol Schwartz is known throughout the city and most often is greeted warmly by citizens who know or remember her," he said. "One question in this race -- as it has been in her other campaigns -- is can she turn her personal popularity into votes. Schwartz is being outgunned and out-organized by both [David] Catania and [Muriel] Bowser." Now, about that "forced retirement." Schwartz blames the loss of her Council seat in 2008 on political retaliation. "I didn't choose to retire," Schwartz said on NBC4's Viewpoint in late summer. "I gave sick leave to workers [while on the Council] and they came after me, and I lost [to Patrick Mara] in the primary." Some political analysts think that's a reason she's in the mayoral race now. "...[E]ven some close associates of Schwartz say there is no doubt that her personal and political dislike of Catania -- he helped defeat her back in 2008 -- is fueling part of her effort," Sherwood said. "But Schwartz is sincere about wanting to be mayor." Schwartz has repeatedly denied she entered the race to be a spoiler for Catania, who helped Mara run. "I am in it to be a spoiler for both of them [Catania and Bowser]," she told Viewpoint. While she said she likes Democratic nominee Muriel Bowser, "I think if you look at her record, it's awfully thin." But she didn't mince words when it comes to fellow independent Catania. "I think you've got to make friends, not enemies, and I think he goes out of his way if he doesn't get his way, to make enemies," she told Viewpoint. "And I think that can be very difficult for the city as we advance forward. We need a lot of friends."